announced her Summer Cloche Party! lovely cloche displays for several years now. Before I even began blogging! perfect cloche at the thrift store! I paid a whopping $1.00 for it! how I wanted to decorate it. to come up with SOMETHING! cute and fun display to share. under glass on my buffet! Kathe, very creative! Don't touch that wine, the party doesn't start until tommorrow! Oh No You Didn't pick that cutie up for 1 buck! Get out!!! You are Awesome with your Deals lady..gosh I want to go with you one day!! Maybe Someday! 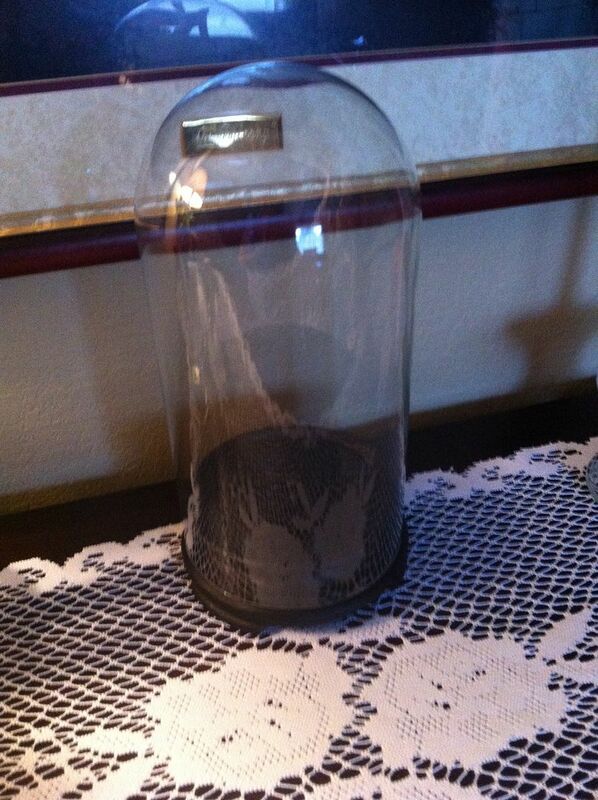 What a cute cloche setting! Can't believe you got it so cheaply!! Great find! 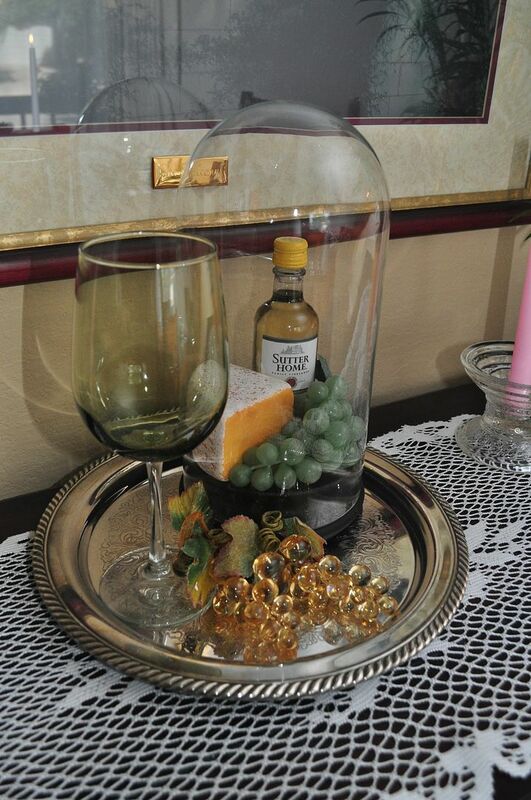 I can't believe you got that at such a steal, and I love the way you used it with the wine and cheese theme. I had forgotten that there was a cloche party. Came over from Gunny Sack to see the cloche. love these things, but haven't made the plunge to buy one. 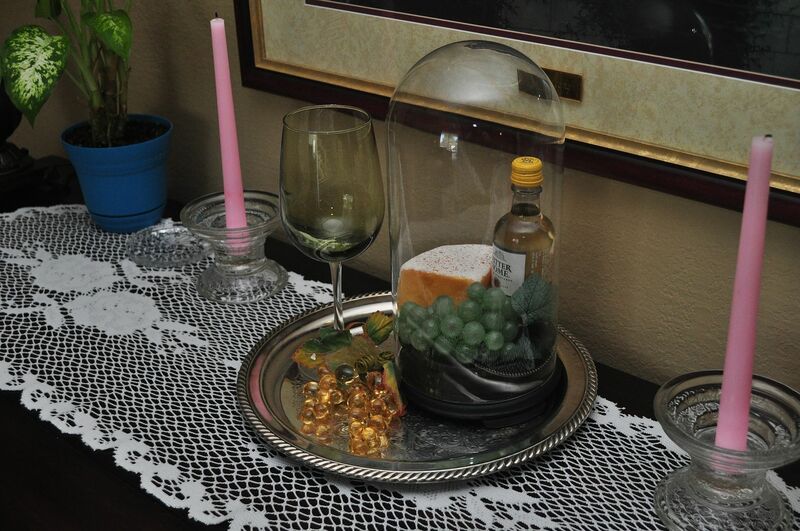 Your vignette is very classy! 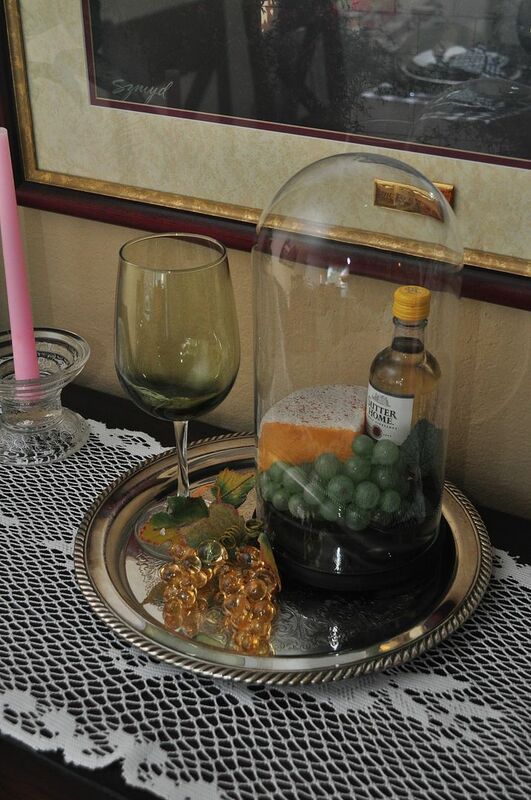 I love your wine and cheese display under your cloche! 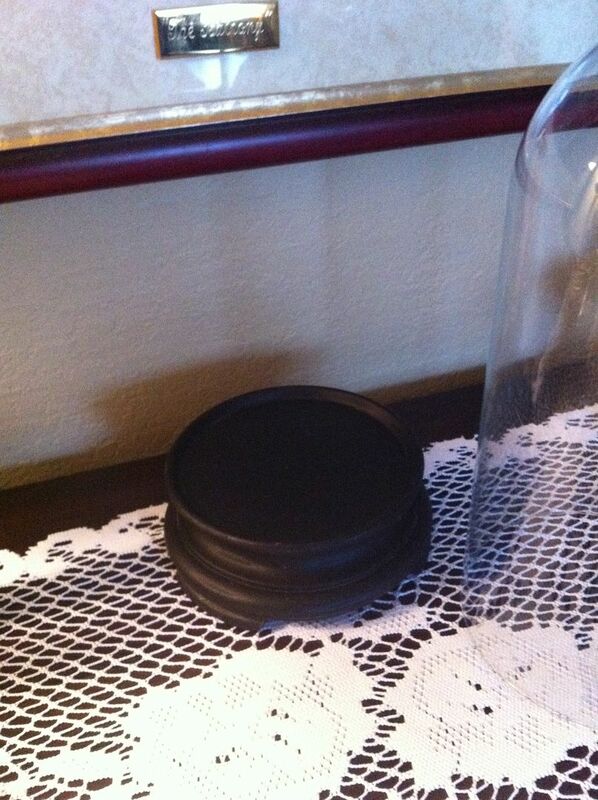 I don't have a cloche, but my sister-in-law has one that I posted about. Now, if I could just find one at the price you did! What a steal! Everything looks so pretty. A perfect cheese and win cloche vignette Kathe! 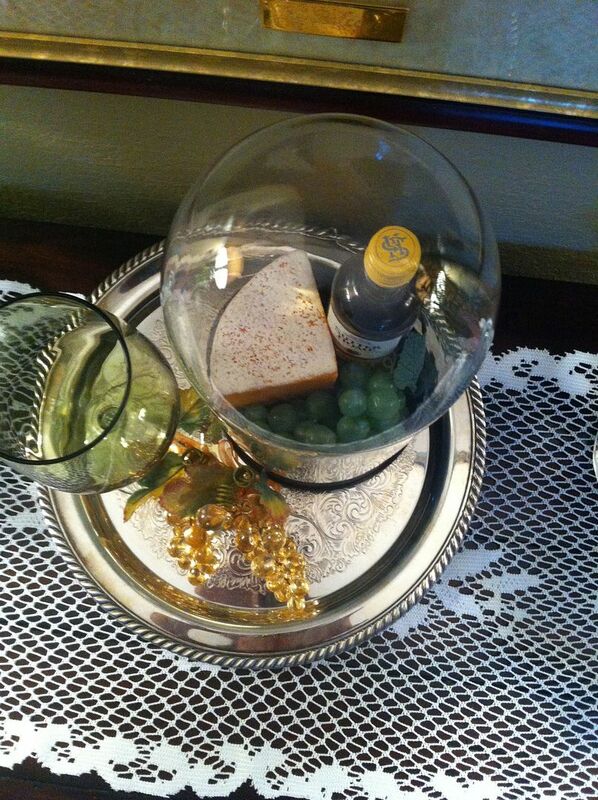 Adore the wine and cheese under cloche, Kathe! Looks like your first encounter was a good one! I love it! 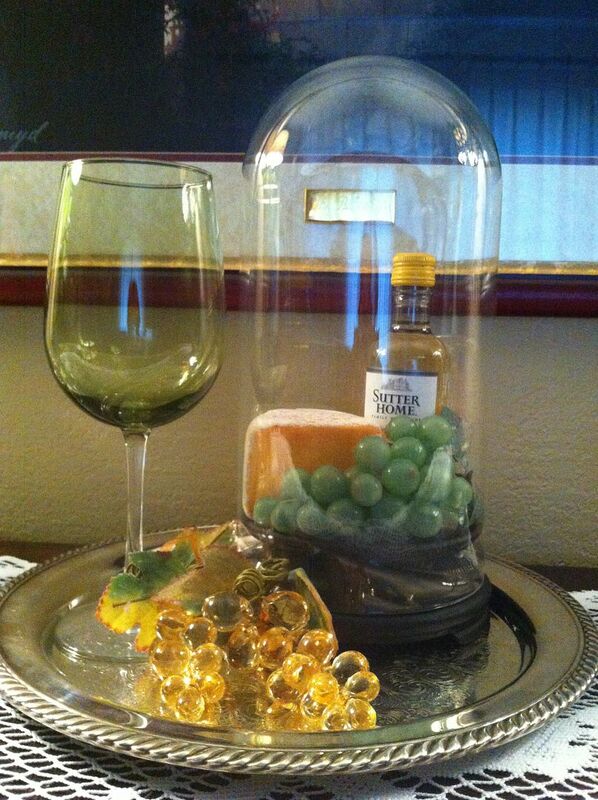 Great idea for your first cloche, Kathe! That is a party on a tray. I love it and by the way you are now doomed to buy cloches all the time. I have tons but paid nothing for them at thrift stores and such. You did a great job. That was a perfect idea. Great cloche! You've done a fabulous wine party or just for one! Found you at Eye Heart Monday. Just lovely! Thanks for sharing at the All Star Block Party! Love it! I've been eyeing the cloches on Marty's website too and wishing I had one. Thanks for sharing it at the All Star Block Party. Hi Kathe, your first cloche encounter was a good one. I don't drink alcohol, but I sure would love having that handy for cooking. Love it on the silver tray. Thanks for sharing with Share Your Cup. Cloches are addictive - you can't just have one! Yours looks terrific and finding it for just $1 was a real score. 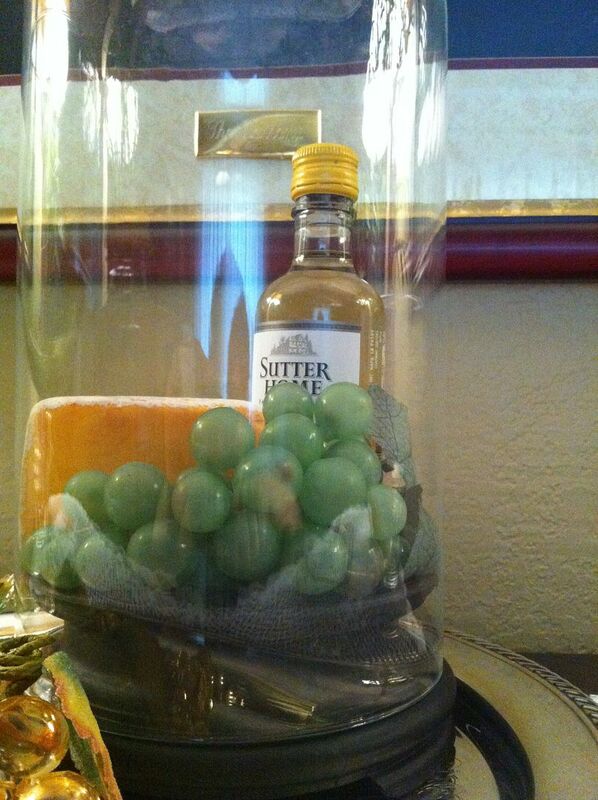 Very pretty arrangement, although I'd probably want to grab a grape every time I walk by! Wow! Only a dollar! Great find! Your display is soo pretty! That was a perfect find to use in the cloche party. Also I like your new header and design. Kathe.. you should be proud of this.. it looks GREAT!! You're right, it looks beautiful on your buffet! Hopping by and following your lovely blog (GFC). I am so jealous of your cloche. Sigh, I am still without one but I keep hoping I will find one that isn't too expensive. Thanks for sharing on Tout It Tuesday! Hope to see you tomorrow. Thanks so much for sharing with Wednesdays Adorned From Above Link Party. It is so pretty the way you set it up. I love it. Thanks for sharing on Simple & Sweet Fridays. What a cute idea. Love it!